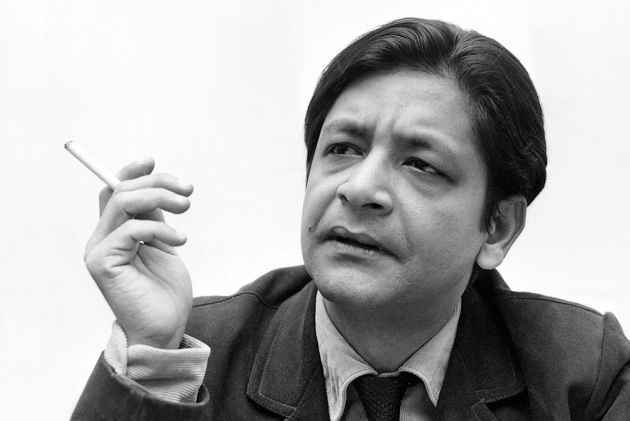 Curiously, when history looks back on him, perhaps the thing we will be most grateful for is that Sir Vidiadhar Surajprasad Naipaul was not built for the faint-hearted. As a man, he was famously short on skin and fanatically intolerant of fools. Talking to him was like tap-dancing on a minefield. You were always surrounded by imminent detonation. It took a daylong stream of cajoling authors to woo him back to his seat. Finally, it was Vikram Seth who managed to smoke him out. Sir Vidia, the man, was marked by this capacity for the comedic and catastrophic, the petty and the prickly, the simmering and the sulky. The suddenly and casually cruel. As Paul Theroux found out to his heartbreak, signed copies of books given to a friend could wind up in an auction. Editors and agents, loyal for decades, found they could be flung aside in an instant. As could a wife. It is tempting, therefore, to separate the man from the writer, to distinguish between the giant gift and the flawed human. But that would be to succumb to the thing Sir Vidia perhaps abhorred the most: people’s desire to seek easy comfort.To sacrifice truth-telling at the altar of the politically correct. Airbrush the unpalatable. Sir V.S. Naipaul was undoubtedly one of the greatest prose stylists the language has known. To read him is to walk through a door of perception. He clarified the art. He made words transparent. He released you from the thickets in your brain. Generations of writers across the spectrum—admirers and detractors—uniformly genuflect to his craft: to read Naipaul is to polish your own stone. Know what is possible. Likewise, there is no disagreement over Naipaul’s early novels. The aural, comic, affectionate, yet unsparingly perceptive world of Miguel Street, Mystic Masseur, A House for Mr Biswas and others. Naipaul understood that world profoundly, both its emotional tug and its wounding blankness. He had pulled himself out of that blankness, traveled to England—and tried to gas himself over the hardship and loneliness that it initially created. Even half a century later, he could tear up at the memory of what it felt like to be prodigiously gifted, to ‘know’ one was gifted, and yet have your work dismissed as a ‘little savoury’ from the islands. Many commentators have said that if Naipaul had not written anything beyond these novels—and later, the more bleak, In a Free State, A Bend in the River, The Enigma of Arrival—he would have still deserved the Nobel Prize and gone down as one of the greatest writers of all time. Many in fact have wished that he had not written more. But that would have bereft one of the greatest legacies Naipaul bequeathed as a writer: discomfort. Naipaul’s non-fiction—the particular form he pioneered, part travelogue, part reportage, part self-discovery—detonated differently in different parts of the world. The India books upset the Indians; the Africa books upset the Africans, the Islam books upset Muslims; and, of course, they collectively upset liberals everywhere. Naipaul has variously been accused of self-loathing, bigotry, prejudice, and plain blind-sightedness. Historian Mushirul Hasan, for instance, writes of him: “I believe writers like Naipaul widen the existing chasm between Muslim communities and the followers of other religions. We need writers and poets who create mutual understanding and interfaith dialogue rather than create distrust and promote intolerance.” Edward Said and others have been much harsher. But that is to miss the point. The contentiousness of Naipaul’s writing is, in a sense, what is most precious about it. He never set himself up to be a bridge builder, a comforter of society: his goal was to be uncompromisingly authentic to himself and uncompromisingly true to what he saw. Sometimes, that seeing could be limited. Sometimes, it was misplaced. Sometimes, courageous. But at all times, it was uncompromisingly honest, never force-fitted to any preconception. What that meant was that Naipaul may not ever have had the whole truth about any society, but the piece of truth he did get hold of posed an intellectual and moral challenge that could not be ignored. It may not be comforting, for example, that Naipaul saw Hindu resurgence as an inevitable, even a creative and corrective, force arising out of Hinduism’s encounter with Islam and Christianity. What is interesting is that he intuited its force way before anyone else did. What’s also interesting is that back in 2001, exactly around the time he was being feted by the BJP as a Hindutva mascot, he predicted that the contemporary Hindutva project was eventually doomed to fail and implode because it had “no intellectual core”. Yet, even then, it would challenge one to confront the flabbiness of what had passed for the secular and liberal. These are not the words of a bigot: they are the words of a writer who unfailingly reported the world as he saw it. In all its shifting complexity. In that sense, the writer and the man were inextricably intertwined. The grand and the flawed. Both not constructed for the faint-hearted. Both uncompromisingly authentic. In 2001, Tehelka—the magazine I then worked for—was under severe assault by the ruling BJP government for a sting investigation it had done on corruption in defence procurement. Naipaul was visiting India at the time, the toasted Nobel laureate. But he was also a patron and friend of Tehelka’s. One day, in a surprise move, cutting through the celebratory cavalcade he was ensconced in, he called a press conference and berated the government roundly for its assault. 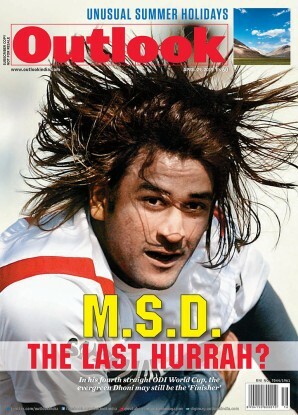 This went some way in acting as a shield for Tehelka. And, of course, the ruling dispensation was highly discomfited. Classic Sir Vidia. In a world increasingly cookie-cutting its way to dangerous conformities, what I remember V.S. Naipaul most gratefully for then is for being a true original. Being a writer was not merely a vocation for him: it was a piety. He understood its core function and guarded that with a fierce passion. This is why it is impossible to merely praise Sir Vidia. Thankfully, we will always debate him.